Would you dare to be different? Living the life of a Mason is a life different from most any ordinary life. 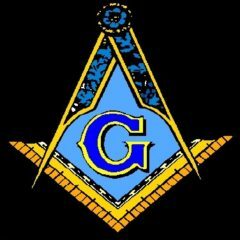 A Mason is loyal to his word, his bond, his family, his country and above all Loyal to his GOD! To live the life of a Mason would mean NOT doing things that you would have done in the past, handling situations in a manner befitting the dignity of a Mason and an upstanding man of faith. Not allowing yourself to be placed in a situation that would bring question to your Morality. Being up front and honest in your dealings with EVERYONE, not just another Mason. To walk the life of a Mason would mean YOU represent Freemasonry in everything you do; it will be no secret that you are a Mason, lots of people will know and they WILL judge Freemasonry as a whole by YOUR actions. If you think this would be the type honored life you would like to live, then seek out a Mason you know and ask how you would go about joining, ask for that elusive petition and get the ball started! Good Luck in your Masonic journey. It will be a life long joy to be a part of and to pass down to your children. In this journey you will meet friends who will become brothers, and this relationship will last for as long as you desire.